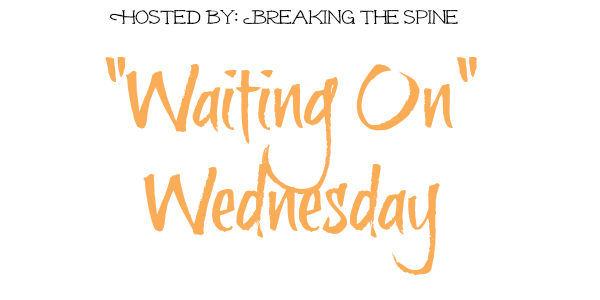 "Waiting On" Wednesday is a weekly event, hosted here, that spotlights upcoming releases that we're eagerly anticipating. 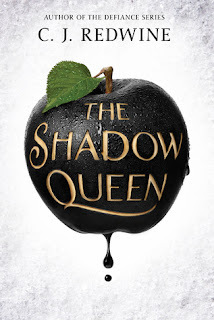 "Lorelai Diederich, crown princess and fugitive at large, has one mission: kill the wicked queen who took both the Ravenspire throne and the life of her father. To do that, Lorelai needs to use the one weapon she and Queen Irina have in common—magic. She’ll have to be stronger, faster, and more powerful than Irina, the most dangerous sorceress Ravenspire has ever seen. In the neighboring kingdom of Eldr, when Prince Kol’s father and older brother are killed by an invading army of magic-wielding ogres, the second-born prince is suddenly given the responsibility of saving his kingdom. To do that, Kol needs magic—and the only way to get it is to make a deal with the queen of Ravenspire, promise to become her personal huntsman…and bring her Lorelai’s heart. But Lorelai is nothing like Kol expected—beautiful, fierce, and unstoppable—and despite dark magic, Lorelai is drawn in by the passionate and troubled king. Fighting to stay one step ahead of the dragon huntsman—who she likes far more than she should—Lorelai does everything in her power to ruin the wicked queen. But Irina isn’t going down without a fight, and her final move may cost the princess the one thing she still has left to lose." Can't wait for this one!